This is a simple, tongue-and-cheek assessment of the five Ashburnham Ward candidates for the October 27 election to city council in Peterborough, Ontario. La politica has also done assessments, posted separately, for Monaghan Ward, Town Ward, OtonabeeWard, and Northcrest Ward. Each post has the same introductory paragraphs provided below. So...you can skip those if you are clicking around. The ward assessments rely on two scores out of five for a combined score out of ten. The first score is based on a candidate’s vibe, with the second score assessing the stuff and things (stuff n’ things) that the candidate proposes for Peterborough. The vibe scoring is purely subjective, and the score for stuff n’ things doesn’t necessarily take a stand on issues (i.e. parkway, taxation), but simply attempts to assess whether the candidate has material proposals, or is campaigning on vague promises and areas of interest. The total score out of 10 does not provide a breakdown of the category scores out of five, because stuff n’ things can have vibe, too, and some vibe is so off the charts it might even be called a vibe economy, with material effects on stuff n’ things. You are confused, but not for long. At the end of the Ward summary we provide an assessment of who we think might win, and why. Remember: you get two votes, as there are two council seats for each ward. Ashburnham Ward (also known as “Ward 4”) is unusual: it covers the entire length of the city on the eastern shore of the Otonabee River. 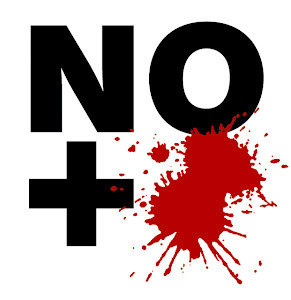 In 2010, 9,126 people cast their votes. Incumbent Len Vass took over 29% of the vote, with 2,662 ballots cast, followed by newcomer Keith Riel, with 2,102 votes, or 23%. This time around Mr. Vass and Mr. Riel are back for re-election, and are facing challenges from Donald Fraser, Paul Teleki, and Gary Baldwin. Mr. Fraser is focusing on quality: quality of life, of governance, and of employment. Under quality of life, Mr. Fraser wants to overhaul the central hub model for Peterborough’s transit system, and to encourage green space and trails, with the completion of a land use strategic plan. He is against the outsourcing of public works to private firms, and wants to promote local artists and access to local food. He has also made the recruitment and retention of doctors a priority. For quality of governance, he would like to have ward-based neighbourhood associations, and participatory budgeting. He wants staff reports published at least one week before council meetings, with the City’s Official Plan Review done within the first year of his mandate. Fraser is one of the few candidates with a specific strategy to improve employment, one area where there has been plenty of vibe and all too little stuff n’ things. He first proposes a review of Peterborough’s economic development strategy, followed by a master plan that would include sector specific opportunities. From there he wants measurable targets with a reporting process that ensures accountability. We have seen Mr. Fraser in action, and like his vibe. We’re also impressed by all the stuff n’ things he proposes, which is why his combined score is a respectable 7 out of 10. This is Mr. Teleki’s second kick at the can in Ward 4: in the 2010 he came in third, with 1,761 votes, about 19%. That put him only 340 votes behind second-place finisher Riel. This time around, both Mr. Teleki and Mr. Riel have been endorsed by the Peterborough Labour Council. Mr. Teleki’s plan is to “serve on council for as many terms as needed to focus the direction of Peterborough’s vibrant community and to plan for the future.” He is an accomplished painter and musician. Importantly, he states that “When residents elect Paul to become a city councillor, they also elect his family including his wife Elizabeth Teleki.” This makes it necessary to mention that Ms. Teleki was appointed to the board at the Peterborough Regional Health Centre for 2014-2016, is the Entrepreneurship Lead at Peterborough Economic Development, and is pursuing her Masters in Sustainability Studies at Trent University, where she is on maternity leave (Teleki’s website has over thirty five photographs of their young son.) Could there be such a thing as too much vibe? Perhaps, but it would seem unfair to fault Mr. Teleki for ramping up as much vibe as possible. Mr. Teleki does well on stuff n’ things, too. Since 2010 he has been running his own research and strategic planning business called Preferences, which turns “market research into dollars and strategic direction,” and “assists organizations to make evidence-based decisions by engaging their stakeholders.” In 2012 he also helped form AppDev Corporation, which creates applications for mobile devices. His political platform focusses on six key areas: employment, job creation, and youth retention; taxation, representation, and accountability; environment, culture, and heritage; recreation and local development; transportation and community safety; and vision. Many of these are heavily vibe-based, with promises to “collaborate” and “innovate”. But there is some real stuff n’ things here, too: keeping taxes to the rate of inflation; implementing a green waste program; support for heritage structures; residential zoning that ensures nearby amenities and community spaces; support for extra police presences in high risk times; sustainable lighting on trails. This is, as Mr. Teleki says “an evidence-based campaign platform” supported by social media and geographical information systems mapping. What can we say? This is stuff n’ things with vibe. We might even call it a vibe economy. Mr. Teleki comes in with the highest combined vibe and stuff n’ things score of all candidates: 8 out of 10. Mr. Riel rode to a second place finish in the last election, insuring him a council seat. He is an independently-minded person who has grown into the job. He has a vibe, and that vibe appears to be based on being a good-natured, caring person who promises to listen. Mr. Riel has targeted four major areas of concern: the need for well-paid jobs; lack of affordable housing and increased homelessness; an improved transportation infrastructure; and rising property taxes. He acknowledges that during his term “more problems have piled up with no end in sight”, but offers few clear solutions. His stuff n’ things credentials come mostly from having sat on various committees during his past four year term, though he is also on numerous boards, including Peterborough Green-up, the Peterborough Public Library, and the Council for Persons with Disability. He has been on the United Way of Peterborough Committee for the Homelessness Partnership Strategy, and the Executive of the Peterborough and District Labour Council. Notably, the Peterborough Labour Council has endorsed Mr. Riel as well as Mr. Teleki. Mr. Riel is against the Jackson Park bridge for the parkway, has defended seniors against rising hydro rates, and has made a compelling (if sometimes unpopular) argument that councillors are underpaid. There is definitely some vibe here, but when it comes to stuff n’ things Mr. Riel has delivered few material results, and could do better. Combined score: 7 out of 10. Mr. Baldwin ran in Otonabee Ward in the 2010 election, placing third with 1,701 votes, about 20% of the total. He is back running in Ashburnham Ward with his “Stepping forward for Ashburnham” campaign. A retired elementary principal, Mr. Baldwin is Vice Chair of the Peterborough Lakefield Police Services Board, where he acts as budget chairman. He has a very low-key vibe, but is campaigning hard to build credibility as a retail politician. This doesn’t add up to much, and anyone who puts “Member of YMCA” on his biography could be accused of stuffing his resume with straw. His closeness to the mayor could also hurt him. By all accounts Mr. Baldwin is a good-natured, likeable, even humble person – qualities that may or may not work in his favour. Combined score: 5.5. Mr. Vass took first place in the last election, with over 29% of the total and 2,662 votes. He has been in municipal politics for a long time, having run for mayor twice, and is now completing his third term as councillor for Ashburnham Ward (he was first elected in 2003). Mr. Vass is Transportation Chair, and has a history of strong support for public transit. However, he could suffer some blowback due to his support of Mayor Bennett and the parkway, including the bridge over Jackson Park. Mr. Vass has a solid vibe, and a reputation for going to bat for his constituents. Initially expressing reluctance to run again, he has since changed his mind. As for stuff n’ things, there is the parkway, Peterborough’s first off-leash dog park at Farmcrest Park, and the recent road repair on Ashburnham Dr. between Lansdowne and Beavermead Park. Mr. Vass is a local businessman who tends to deliver on small “c” conservative issues. Combined score: 6.5. 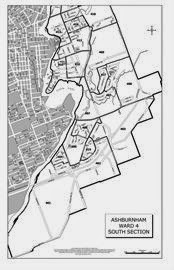 We believe both incumbents are vulnerable in Ashburnham Ward. Riel could be re-elected, but Fraser and Teleki will eat into his support. The parkway is not as big an issue in Ashburnham Ward as it is elsewhere in the city; however, the blowback against Mayor Bennett is real, which will cut into support for incumbent Len Vass. Vass, who took first spot last time, is not the only place to park a centre-right vote: the pro-Bennett camp is also putting its money on Baldwin as a Vass alternate, and he is no novice, having taken over 20% of the vote for his third place finish in Otonabee Ward last time. That said, a centre-left candidate like Teleki is a real option – he came in a respectable third here in 2010, and is running a strong campaign. Fraser is likeable and qualified, but this is his first outing and his vibe could be stronger. Remember, everyone has two votes (though they don’t always use them). We think Vass is vulnerable; but for him to lose, two of the three centre-left candidates (Fraser, Teleki, and Riel) would have to come on strong. If so, it will be Teleki and Riel. The thing is, with three-way vote-splitting on the centre-left Vass has a path, given that he is the only strong pro-parkway, pro-mayor candidate.